JD Hammer does not have any MLB stats for the season. Draft: 2016, Colorado Rockies, 24th rd. John Dale Hammer (JD)… Graduated from Fort Collins High School (CO)… Attended Navarro Junior College (TX) where he was named a JuCo Academic All-American… 2016 graduate of Marshall University (WV) where he majored in health sciences…Hobbies: Shooting bow, fishing, video games and ping-pong. Began the season with Asheville (A)...Selected as a South Atlantic League midseason All-Star...Promoted to Lancaster (A) on 6/22...Traded on 7/26 and spent the remainder of the season with Clearwater (A)...Appeared in a total of 48 games between the 3 teams and posted a 1.87 ERA and 5.31 SO/BB ratio in 57.2 IP...Following the season, pitched for Glendale in the Arizona Fall League, where he was named an AFL Rising Star after posting a 0.66 ERA in 10 relief appearances. April 1, 2019 RHP JD Hammer assigned to Reading Fightin Phils from Clearwater Threshers. February 24, 2019 RHP JD Hammer assigned to Philadelphia Phillies. August 21, 2018 Clearwater Threshers activated RHP JD Hammer from the 7-day injured list. August 11, 2018 Clearwater Threshers sent RHP JD Hammer on a rehab assignment to GCL Phillies East. August 9, 2018 Clearwater Threshers sent RHP JD Hammer on a rehab assignment to GCL Phillies West. June 21, 2018 Clearwater Threshers placed RHP JD Hammer on the 7-day disabled list retroactive to June 19, 2018. June 5, 2018 RHP JD Hammer assigned to Clearwater Threshers from Reading Fightin Phils. April 5, 2018 RHP JD Hammer assigned to Reading Fightin Phils from Clearwater Threshers. January 17, 2018 Philadelphia Phillies invited non-roster RHP JD Hammer to spring training. July 27, 2017 RHP JD Hammer assigned to Clearwater Threshers. July 26, 2017 Philadelphia Phillies traded RHP Pat Neshek to Colorado Rockies for RHP Alejandro Requena, RHP J.D. Hammer and SS Jose Gomez. June 22, 2017 RHP J.D. Hammer assigned to Lancaster JetHawks from Asheville Tourists. April 3, 2017 RHP J. D. Hammer assigned to Asheville Tourists from Grand Junction Rockies. 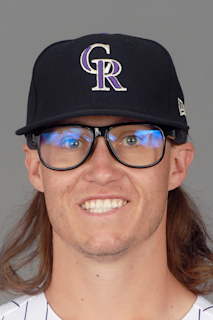 June 16, 2016 Colorado Rockies signed RHP J. D. Hammer. June 16, 2016 RHP J. D. Hammer assigned to Grand Junction Rockies.